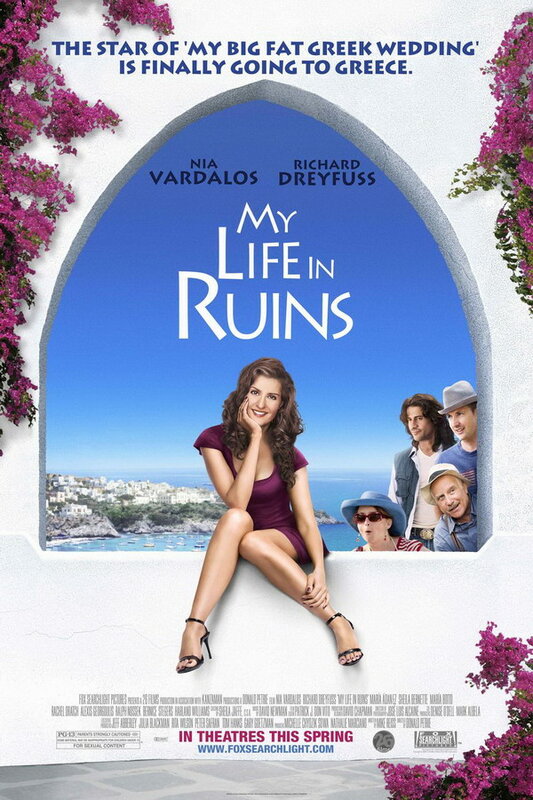 My Life in Ruins font here refers to the font used in the poster of My Life in Ruins, which is a 2009 romantic comedy movie that follows a travel guide, who rediscovers her romantic side on a trip around Greece. The font used for the movie title in the poster is probably Lithos Regular, designed by Carol Twombly based on the inscriptions in ancient Greece. The font is a commercial one and you can view details about it here. In addition to My Life in Ruins, Lithos typeface is also used in the following logos, movie posters or album covers etc., including: Treasure Untold, Super Wings, George of the Jungle (Film), Space Jam, Cool Runnings, Yooka-Laylee, Crooked Arrows, Banjo-Kazooie, Taco John’s, Dancing the Blues, Home Alone, Clinch Mountain Bluegrass.